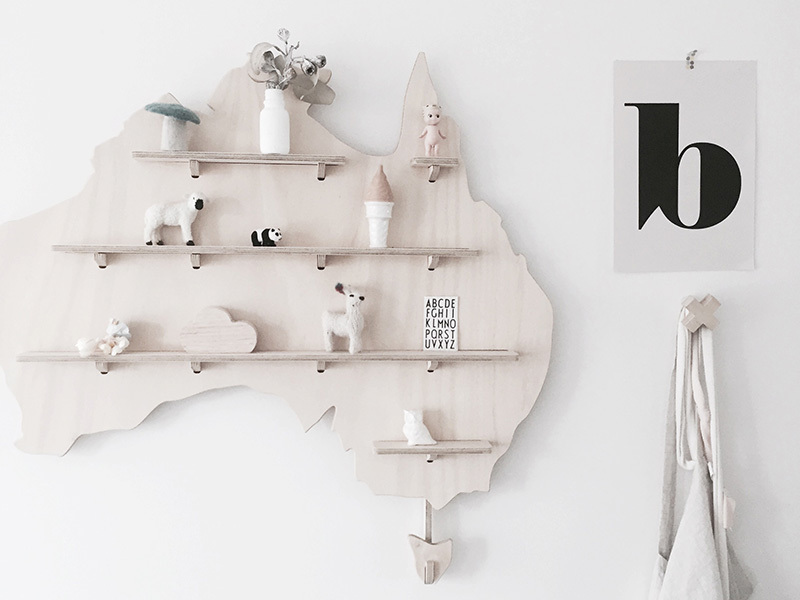 Australiana has never looked so darn fine – a stunning decor addition to any child’s space and the perfect gift for children of Aussie expats. Children’s treasures which will call Australia home, no matter where in the world they reside, thanks to One Two Tree. My Treasure Board from One Two Tree is a magnificent shelving system for much loved treasures and trinkets. Measuring up at 80cm wide and 74cm in height, this is one piece sure to pack a beautiful visual punch. Five separately cut shelves lock in to the back board, proudly displaying wares, brilliantly showcased by sustainable Australian hoop pine grain, cut into the shape of this beautiful country of ours. My Treasure Board is priced $175 and available direct from One Two Tree. It’s flat packed, making it a cinch to ship anywhere in the world.